When Nanak was a boy of seven, he was sent to Gopal Pandha to learn Hindi. The teacher told Nanak to read a book. Nanak replied, "What will it avail to know all and not have a knowledge of God?" Then the teacher wrote the Hindi alphabets for him on a wooden slate. Nanak said to the teacher, "Please tell me, sir, what books have you studied? What is the extent of your knowledge?" Gopal Pandha replied, "I know mathematics and the accounts necessary for shopkeeping". Nanak replied, "This knowledge will not in any way help you in obtaining freedom". The teacher was very much astonished at the words of the boy. He told him, "Nanak, tell me something which could help me in the attainment of salvation". Nanak said, "O teacher! Burn worldly love, make its ashes into ink and make the intellect into a fine paper. Now make the love of God your pen, and your heart the writer, and under the instructions of your Guru, write and meditate. Write the Name of the Lord and His praises and write, ‘He has no limit this side or the other’. O teacher! Learn to write this account". The teacher was struck with wonder. Then Kalu sent his son to Pundit Brij Nath to learn Sanskrit. The Pundit wrote for him ‘Om’. Nanak asked the teacher the meaning of ‘Om’. The teacher replied, "You have no business to know the meaning of ‘Om’ now. I cannot explain to you the meaning". Nanak said, "O teacher! What is the use of reading without knowing the meaning? I shall explain to you the meaning of ‘Om’". Then Nanak gave an elaborate explanation of the significance of ‘Om’. The Sanskrit Pundit was struck with amazement. Then Kalu tried his level best to turn Nanak’s mind towards worldly matters. He put Nanak in the work of looking after the cultivation of the land. Nanak did not pay any attention to his work. He meditated even in the fields. He went out to tend the cattle, but centred his mind on the worship of God. The cattle trespassed into a neighbour’s field. Kalu rebuked Nanak for his idleness. Nanak replied, "I am not idle, but am busy in guarding my own fields". Kalu asked him, "Where are your fields?" Nanak replied, "My body is a field. The mind is the ploughman. Righteousness is the cultivation. Modesty is water for irrigation. I have sown the field with the seed of the sacred Name of the Lord. Contentment is my field’s harrow. Humility is its hedge. The seeds will germinate into a good crop with love and devotion. Fortunate is the house in which such a crop is brought! O sir, mammon will not accompany us to the next world. It has infatuated the whole world, but there are few who understand its delusive nature". Then Kalu put him in charge of a small shop. Nanak distributed the things to Sadhus and poor people. He would give away in charity whatever he could lay hands on in his father’s house and in the shop. Nanak said, "My shop is made of time and space. Its store consists of the commodities of truth and self-control. I am always dealing with my customers, the Sadhus and Mahatmas, contact with whom is very profitable indeed". When Nanak was fifteen years of age, his father gave him twenty rupees and said, "Nanak, go to the market and purchase some profitable commodity". Kalu sent his servant Bala also to accompany Nanak. Nanak and Bala reached Chuhar Kana, a village about twenty miles from Talwandi. Nanak met a party of Fakirs. He thought within himself: "Let me feed these Fakirs now. This is the most profitable bargain I can make". He purchased provisions immediately and fed them sumptuously. Then he came back to his house. The servant informed his master of his son’s bargain. Kalu was very much annoyed. He gave a slap on Nanak’s face. Rai Bular, the Zamindar of Talwandi, became very old. He wanted to see Nanak and so he sent a messenger to Nanak. Nanak at once proceeded to Talwandi and saw Rai Bular and his own parents and relatives. All his relatives began to explain to Nanak how they stood towards him in relationship and persuaded him to give up his mission and stay at home comfortably. Nanak replied: "‘Forgiveness’ is my mother and ‘contentment’ my father. ‘Truth’ is my uncle and ‘love’ my brother. ‘Affection’ is my cousin and ‘patience’ my daughter. ‘Peace’ is my constant female companion and ‘intelligence’ my handmaid. Thus is composed my whole family whose members are my constant associates. The only one God—the Creator of the whole universe—is my husband. He who forsakes Him will be caught up in the round of births and deaths and will suffer in various ways". Guru Nanak proceeded to Multan. He halted by the side of a river. Multan was a place filled with Fakirs always. Prahlad was born at Multan. Shams Tabriez and Mansoor also lived there. The Pirs came to know that Guru Nanak had come to Multan. They sent him milk in a cup, filled to the very brim. Nanak put inside the cup some Batashas—small hollow lumps of sugar—and a flower above them and returned the milk. Mardana told his master that a thing like milk should not be returned and should be drunk by him. Guru Nanak replied, "Look here, Mardana. You are a simpleton. The Pirs have played a small trick. They have not sent this milk for my use. There is deep philosophy at the back of it. There is profound significance. The meaning is that Multan is already full of Pirs and Fakirs, just like the cup that is filled with milk to the very brim, and that there is no room for another religious teacher. I have also paid them in the same coin. My answer is that I will mix with them like the Batashah and would predominate over them like the flower placed in the cup of milk". The Pirs and the Fakirs then came to see Guru Nanak. Nanak sang a song. The proud and arrogant Pirs came to their senses now. They became very humble. They said to Guru Nanak: "Pardon us, O revered Guru! We were surely self-conceited. Kindly give us spiritual instructions and bless us". Guru Nanak blessed them and gave them instructions. There is a remarkable incident in connection with Nanak’s visit to Mecca. At Mecca, Nanak was found sleeping with his feet towards the Kaaba, before which the Mohammedans prostrated themselves when performing their prayer. Kazi Rukan-ud-din, who observed this, angrily remarked: "Infidel! How dare you dishonour God’s place by turning your feet towards Him?" He also kicked Nanak. Nanak silently replied, "I am tired. Turn my feet in any direction where the place of God is not". Kazi Rukan-ud-din took hold of Nanak’s feet angrily and moved them towards the opposite direction. The mosque also began to move. The Kazi was struck with wonder. He then recognised the glory of Guru Nanak. Guru Nanak visited Hassan Abdal in the Attock district in the North Western Frontier in 1520 A.D. He sat under a Peepul tree at the foot of a hillock. On top of the hill, there lived a Mohammedan saint named Vali Quandhari. There was then a spring of water on top of the hill. Mardana used to get water from the spring. Guru Nanak became very popular in a short time. The Mohammedan saint became jealous. He forbade Mardana from taking water out of the spring. Mardana informed Guru Nanak of the conduct of the Mohammedan saint. Guru Nanak said to Mardana, "O Mardana! Do not be afraid. God will send water down to us soon". The spring that was on the top of the hill dried up immediately. There arose a spring at the foot of the hill where Guru Nanak halted. The saint was very much enraged. He hurled a big rock from the top of the hill down to the spot where Nanak was sitting. Guru Nanak stopped the rock by his open hand. The impression of his hand on the rock exists even now. Then the saint came to the Guru, prostrated at his feet and asked for pardon. Guru Nanak smiled and pardoned the arrogant saint. There now stands a beautiful shrine by the side of the spring which is called: "Punja Sahib". Guru Nanak was a reformer. He attacked the corruptions in society. He strongly protested against formalism and ritualism. He carried the message of peace and of love for everybody. He was very liberal in his views. He did not observe the rules of caste. He tried his level best to remove the superstitions of the people. He preached purity, justice, goodness and the love of God. He endeavoured to remove the moral putrefaction that was prevalent amongst the people and to infuse real spirit in the worship of God and true faith in religion and God. He introduced the singing of God’s praise, along with music, as a means of linking the soul of man with God. Wherever he moved, he took Mardana with him to play on the rebeck while he sang. He said, "Serve God. Serve humanity. Only service to humanity shall secure for us a place in heaven". Guru Nanak had great reverence for women. He allowed them to join all religious gatherings and conferences and to sing the praises of God. He gave them their full share in religious functions. Guru Nanak clearly says: "The road to the abode of God is long and arduous. There are no short cuts for rich people. Everyone must undergo the same discipline. Everyone must purify his mind through service of humanity and Nama Smarana. Everyone must live according to the will of the Lord without grumbling or murmuring. How to find Him? There is one way. Make His will your own. Be in tune with the Infinite. There is no other way". The first stage in making the divine will one’s own is attained through prayer for divine grace or favour—Ardas for Guru Prasad. Guru Nanak attaches very great importance to prayer. He says that nothing can be achieved by man without divine favour. He says: "Approach God with perfect humility. Throw yourself on His mercy. Give up pride, show and egoism. Beg for His kindness and favour. Do not think of your own merits, abilities, faculties and capacities. Be prepared to die in the pursuit of His love and union with Him. Love God as a woman loves her husband. Make absolute unreserved self-surrender. You can get divine favour and love". The beautiful composition of mystic poems uttered by Nanak is contained in ‘Japji’. It is sung by every Sikh at daybreak. The ‘Sohila’ contains the evening prayers. In ‘Japji’, Guru Nanak has given a vivid and concise description of the stages through which man must pass in order to reach the final resting place or abode of eternal bliss. There are five stages or Khandas. The first is called Dharm Khand or "The Realm of Duty". Everyone must do this duty properly. Everyone must tread the path of righteousness. Everyone will be judged according to his actions. The third stage is Sharam Khand. This is "The Realm of Ecstasy". There is the spiritual rapture here. There is beauty. The Dharma has become a part of one’s own nature. It has become an ingrained habit. It is no more a mere matter of duty or knowledge. Guru Nanak again and again insists thus: "Realise your unity with all. Love God. Love God in man. Sing the love of God. Repeat God’s Name. Sing His glory. Love God as the lotus loves water, as the bird Chatak loves rain, as the wife loves her husband. Make divine love thy pen and thy heart the writer. If you repeat the Name, you live; if you forget it, you die. Open your heart to Him. Enter into communion with Him. Sink into His arms and feel the divine embrace". "Vahe Guru" is the Guru Mantra for the followers of Guru Nanak. The other important Mantra for repetition is: "Ek Omkar Satnam Karta Purkh Nirbhav Nirvair, Akalmurat Ajuni Savai Bhang Gur Parsad—God is but one, His Name is true, He is the Creator, He pervades the whole universe, He is without fear, He is without enmity, He is immortal, He is birthless, He is self-born and self-existent, He is the remover of the darkness (of ignorance) and He is merciful". The Lord is eternal. He has no beginning and no end. The Granth Sahib begins with the following: "There is but one God whose name is true—the Creator". It contains a code of high morals. Purity of life, obedience to Guru, mercy, charity, temperance, justice, straightforwardness, truthfulness, sacrifice, service, love and abstinence from animal food are among the virtues on which great emphasis is laid; while lust, anger, pride, hatred, egoism, greed, selfishness, cruelty, backbiting and falsehood are vehemently condemned. 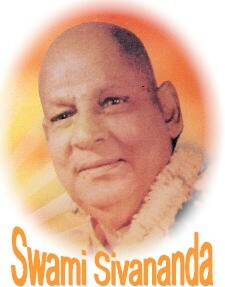 Taken from "Lives of Saints" by Swami Sivananda.